68 pp, 9.5 x 7 in. 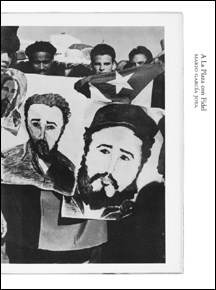 Mario García Joya's A La Plaza con Fidel (To the Plaza with Fidel) is a rarity among the few photobooks to come out of Cuba after the Revolution. 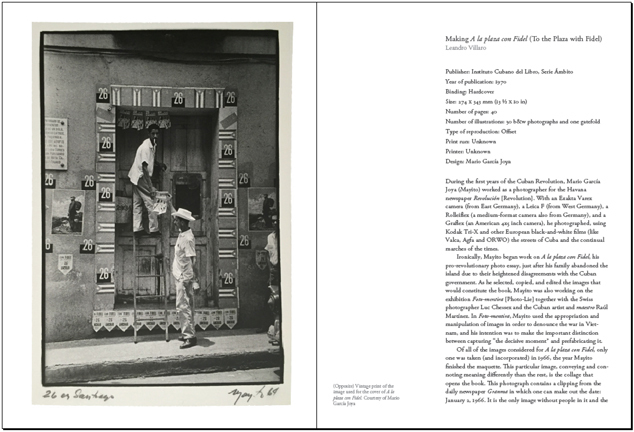 Photographed by the leading Cuban photographer and cinematographer 'Mayito' (Mario Garcia Joya) between 1959 and 1966 and later published in 1970, the book focuses its attention towards the vast crowds of Castro's supporters and the festive atmosphere surrounding the revolution felt even at a time of the country's more difficult economic moments. Books on Books #21 presents this little known book in its entirety with essays by historian Leandro Villaro.